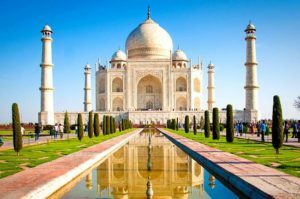 Agra: The scores of tourists all through the year visit Agra, known for the monument that is an undying symbol of love- Taj Mahal. It is the land of architectural marvels that were built by the Mughal rulers. It is an amazing city of Uttar Pradesh, known throughout the globe for the wonderful edifices like Taj Mahal, Fatehpur Sikri, Itmad-ud-Daulah’s Tomb and Agra Fort. 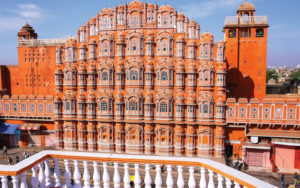 Jaipur:Jaipur, the pink city of Rajasthan is famous for its magnificence, glory and a hued civilization. There are numerous tourist attractions in Jaipur that can be explored during the vacations. The city is a home to three splendid forts namely Amber Fort, Nahargarh Fort and Jaigarh Fort. Traveling in this bewitching city provides the charm that lasts forever in the tourist’s mind. 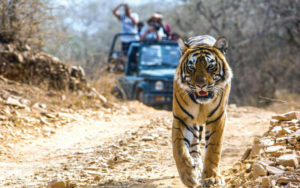 Jim Corbett National ParkJim Corbett National Park, located in Uttarakhand, is the oldest national park in the country. 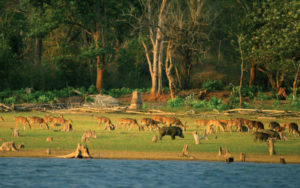 It is the natural hub of many wild animals, especially the Bengal tigers. The wonderful and large variety of flora and fauna are also found in the park. The pictorial and wonderful view of the park captivates the attention of the tourists and provides an unforgettable experience. 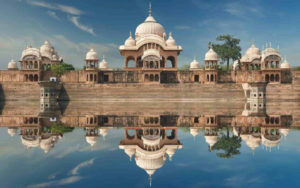 Mathura: Mathura, the birthplace of Lord Krishna, is one of the renowned religious tourist destinations in the country. It is located on the western riverside of the Yamuna River in the state of Uttar Pradesh. The city is also known as ‘Brajbhoomi’ representing the 3000 years old culture and civilization of the country. 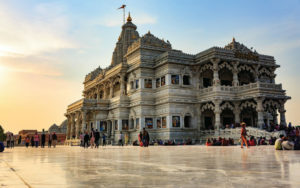 This pilgrim destination is visited not only by the Hindus, but by the followers of other religions as well such as the Buddhists, Brahmanical Jain and so on. Vrindavan: Vrindavan is a transcendental home of the Lord Krishna. It is situated in Uttar Pradesh. There are numbers of ancient and modern temples, which are famous among the pilgrimage tourists. According to the Hindu mythological scripts, Lord Krishna eternally resides in Vrindavan and never leaves this place. Some of the famous temples that the travelers can visit here are Madan-Mohan, Radha Vallabh, Banke-Bihari and Shahji. Haridwar: Haridwar is one of the famous religious destinations of the country. It is situated in the foothills of the Himalayas in the state of Uttarakhand. It is one of the seven holiest places of the Hindus. The large flock of tourists and devotees comes here from all over the globe. 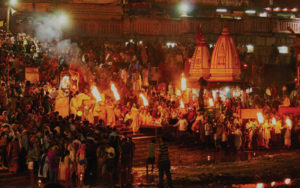 The scenic beauty and spiritual fervor of the great attractions like Har-Ki-Pauri, Mansa Devi, Sapt Rishi and many more, makes the trip to Haridwar truly memorable. Rishikesh: Rishikesh is a small hilly town in Uttarakhand. It is a beautiful blend of spirituality and natural grace. Situated in the astounding lap of the mighty Himalayas, the city has wonderful natural beauty, religious fervor, lovely weather that attracts a flock of backpackers throughout the year. However, what allures the visitors the most is an incredible range of adventure activities that Rishikesh has to offer. 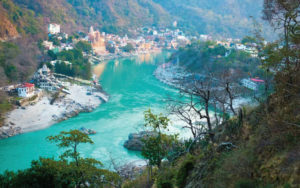 One can indulge in various enthralling adventure activities in Rishikesh such as the trekking, white water rafting, cliff hanging and much more. Bharatpur: Situated in the state of Rajasthan, Bharatpur is well-planned captivating city. It is renowned for the Keoladeo National Park also known as Bharatpur Bird Sanctuary. This national park is a paradise for the bird watchers and many beautiful kinds of migratory birds can be found here like Siberian Crane, Pelicans, Egrets, Cranes, Geese and Ducks. 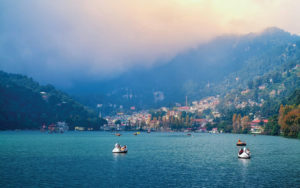 Nainital: Nainital is among the best hill stations of India well-known for its striking beauty and natural splendor. The picturesque charm of this pristine hill station situated in Uttarakhand, attracts a number of tourists to spend pleasant and unforgettable vacations amidst the tranquil and scenic ambiance. The place is famous with the name of Lake Paradise, and is also a popular honeymoon destination. Mussoorie: Situated in Uttarakhand, Mussoorie is one of the best places to enjoy the weekend tours around Delhi. This place is regarded as the ‘Queen of Hills’ and is perhaps a paradise on the Earth. There is immeasurable natural beauty all around that just zaps the tourists. 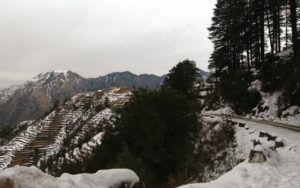 Located at an altitude of approximately 7000fts, Mussoorie offers commanding sights of snow-capped peaks in the northeast and the extensive jaded Doon valley towards its south. 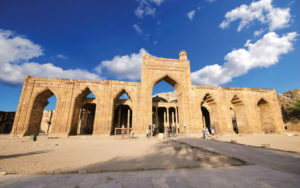 Ajmer: The religious city of Ajmer is situated in the southwest of Jaipur, Rajasthan. It is among the most sacrosanct places for both the Muslims and Hindus. It is the beautiful city surrounded by the spectacular Aravalli mountain range. This place is also popular for its silver jewelry and handicraft items. The world famous ‘Dargah Sharif’, which is a mausoleum of the Sufi Saint Khwaza Moinuddin Chishti, is a major religious and tourism attraction of Ajmer. 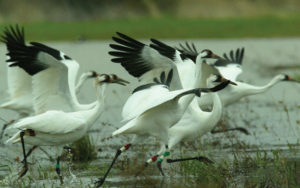 Sultanpur Bird Sanctuary: Sultanpur Bird sanctuary is situated in the National Capital Region (NCR)-Gurgaon. This place is a home for both the local and migratory bird species. Some of the rare bird species found here are Little Cormorant, Cattle Egret, White Ibis, etc. The sanctuary is located around the renowned Sultanpur Lake. The sanctuary has a tropical climate and October to March is the best time to visit here.